We were lucky enough to be treated with a moment of jam-tasting by I. who gave us her recipe of this very special jam. Her mother had passed it on to her. Lemon juice : a half-glass for 4 kgs of fruit. Mixing and boiling for one hour and a half in a cooking-pot : watch out at the end for it not to be burnt and stick to the bottom ! We spoke about memories of our mothers’ cupboards, when they were full of canned food for winter time. 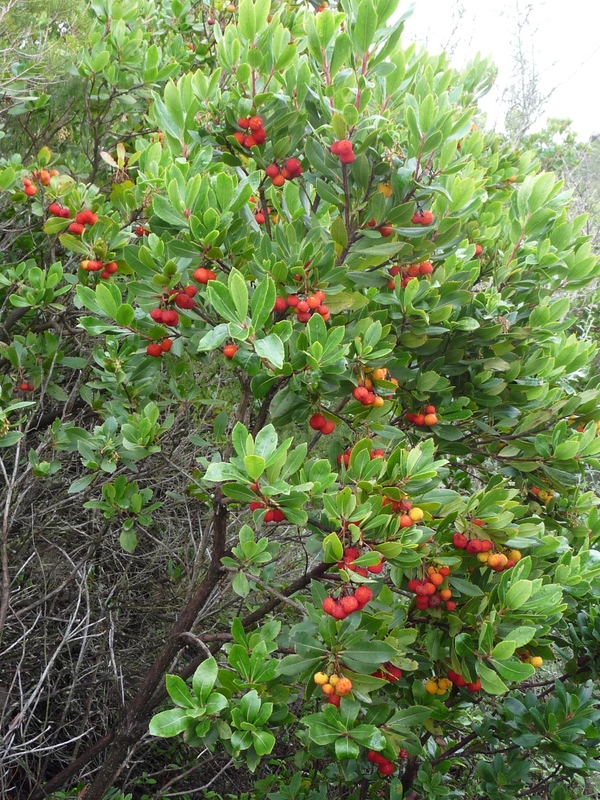 Arbutus berries are sharp as fruits but sweet in jams, especially when it’s spread on slices of good bread, with a glass of apple-juice. Thanks a lot. Al. wrote down in her diary (notebook with dates) that she will treat us with a special Christmas pudding of her own in december. C. and H. wrote back to Helene in English about "El Camino". At the entrance or at the exit of highways, vehicles must pay a toll in order to pass toll-gates. When you get flashed for not respecting a speed-limit, you must pay a fine and points are withdrawn from your driving-licence. Young drivers often borrow their grandparents’ licences to avoid it. MC. and A. spoke about people they met in the States and their relationship to French language, depending on their age, family background... or open-mindedness. The melting pot is an American metaphor to describe the successful assimilation of immigrants in the States. 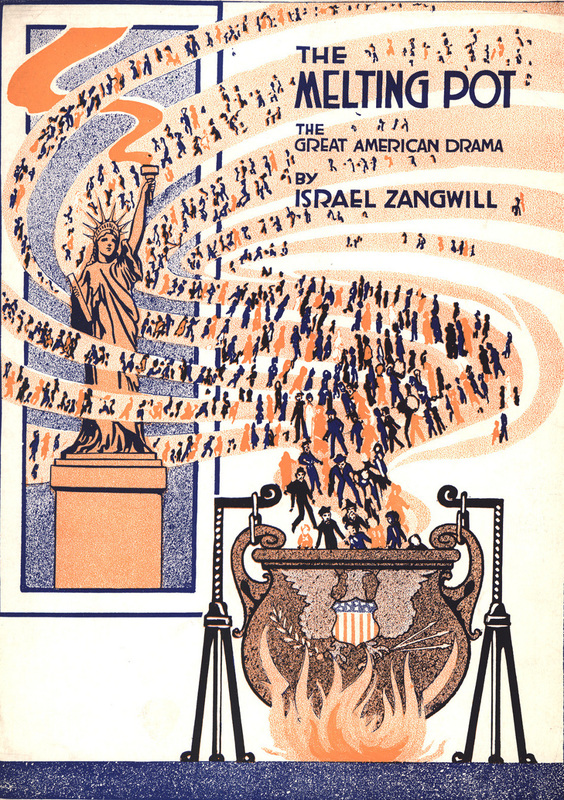 After 1970 the desirability of assimilation and the melting pot model was challenged by proponents of multiculturalism, who assert that cultural differences within society are valuable and should be preserved, proposing the alternative metaphor of the mosaic, salad bowl, or "American Kaleidoscope"—different cultures mix, but remain distinct. We spoke about mandala, its origin and the way it’s used at school to help children focus on an activity. I. showed us a picture of a painting of hers and C. insisted on the fact that it should be considered as an ephemeral art made on sand. A. said that the traditional Amish quilts she saw in Ohio had been made in China. It was a very lively session, everybody was eager to talk or give his/her advice or opinion. The wish to be heard was often more important than to listen to others. See you next week.